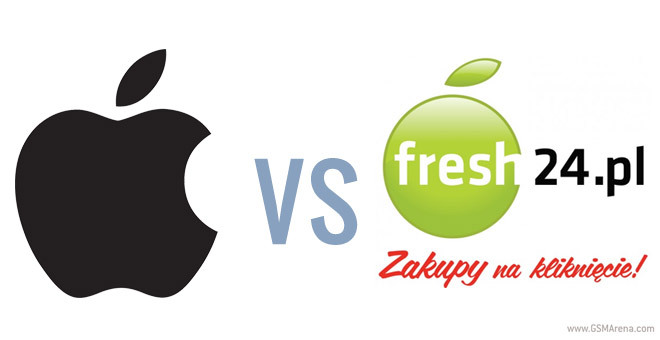 Apple has decided to sue Polish online supermarket A.pl over trademark issues. According to Polish website Telepolis, Apple has issued a request for the cancellation of the online food store’s trademark rights from Poland’s Patent Office. The reason for Apple’s discontent is that A.pl’s brand and its sister company’s name logo (fresh24.pl) create a likelihood of confusion and may use Apple’s fame to its advantage. Naturally, A.pl is standing to defend its trademark and according to the report, the legal battle may take as long as two or three years. We’ll continue to follow the case, but, as Thenextweb points out, its certain that whoever wins the case, there will be appeals from both sides to the Regional Administrative Court in Warsaw. Do you think Apple is right to sue A.pl for owning a company with an apple logo?